What an incredibly busy year it has been for us. I’ve played 8 tournaments last year as well as playing in the 4NCL (UK League) and Landesliga (German League 5th Division). Gawain has been of course even busier than me also playing in the World Cup and the European Individual. We are now in Wijk aan Zee for the 80th Tata Steel Masters. The last few months has been a whirlwind and we’ve been to Edinburgh, Munich, Home, London, Home, Northern Ireland, Home(London for me), to the Peak District and now finally in Holland. 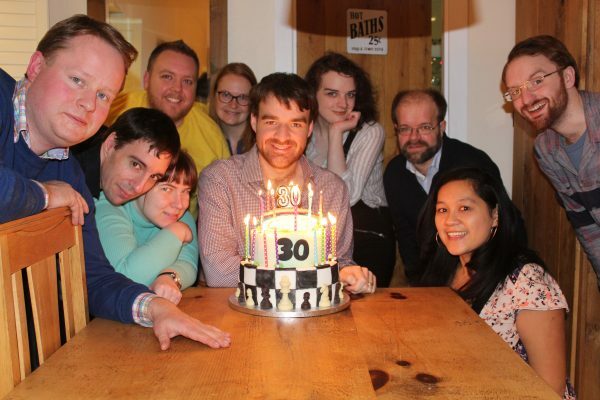 Gawain turned 30 in December so to celebrate we did a pre party, party and post party. 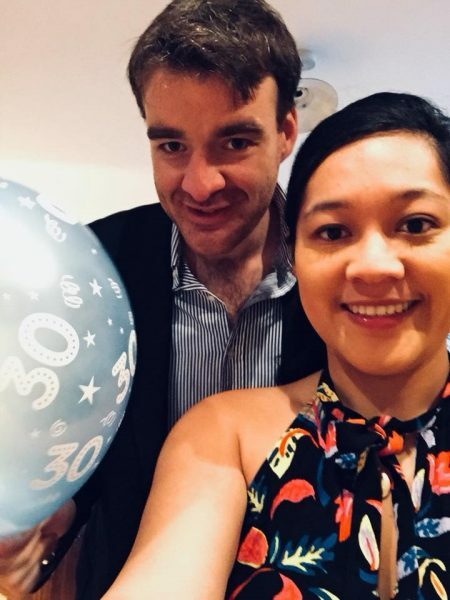 We always joked that when IM Thomas Rendle turned 30 (in 2016) we would all go to Vegas but unfortunately that never materialized even though we were in the US at the time. 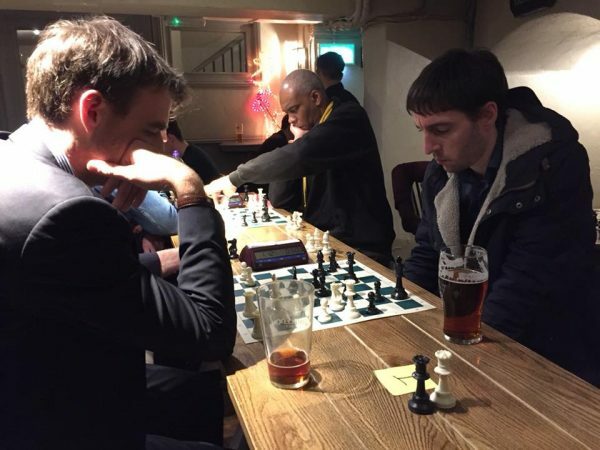 Although I wanted to go to Vegas to celebrate, I knew there would be a few niggling clashes such as the London Chess Classic and Christmas as well as playing in Wijk in January. Time was a slight issue and we definitely didn’t want any extra stress or potential panic. So I came up with a few ideas that I think worked out very well. We ended up going to Edinburgh to Stewart Brewing so Gawain could “brew” his own beer. 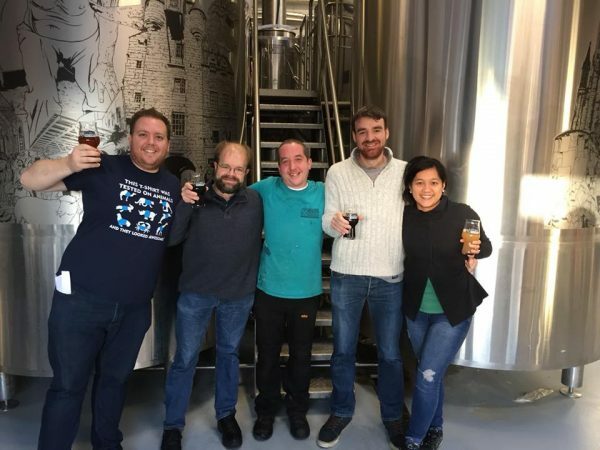 There are quotation marks as though we were there while the beer was being made we did little in the way of making it other than pouring and stirring – which of course is important but the actual beer making process was mostly left up to our Master Brewer James. Our friends Chris Skulte and IM Richard Palliser ventured up North to help us out but mostly the boys drank while on the job. 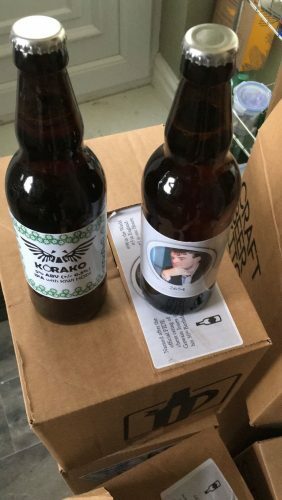 After we were done brewing the beer , it was left to ferment for a few weeks and then there was an in house bottling service so we didn’t have to go back up to bottle our beer. Our final products were a success if I do say so myself. Unfortunately we can’t sell it so we now have a lot of bottles at home to drink, I’m sure we’ll get through it in due course. Next up was the actual day of Gawain’s birth, the 11th of December. We were in London for this day and it was the day between the end of the FIDE Blitz and the Classic Dinner held at Simpson’s. Our plan included a late start to the day, then Pizza at Franco Manco before heading to the Shakespeare Pub for the 2nd Brainstorm Blitz. The 4th Brainstorm Blitz will be held on the 5th February and if you are in London – like blitz and beer you should definitely head along to the event. Gawain was top seed in the event but he definitely played some rusty chess. Our friend IM Peter Roberson was kind enough to let him win (as it was his birthday) after being a few pawns up in a completely winning endgame. Unfortunately Tom didn’t get the memo and beat Ga on his birthday! We had free cake (thanks to Waitrose damaging it during delivery) We then headed to the Hippodrome to have steak and finish the day. For the post birthday party, we had a weekend away with some good friends in the Peak District. I managed to find a lovely barn that fit us all and that had a pub within walking distance. Unfortunately disaster struck when I realized I left the “proper” board games at home but we had plenty of other games and things to keep us entertained. The weekend was full of food, booze and cake and it was a lovely break to have before heading here to Wijk. Now we are here and I’ve decided not to play in any side events this year. Gawain will have 2 days where the Masters group will travel and there will also be an overnight stay in the city of Groningen. I’m hoping to be productive with my time here and I have a long to do list. I plan to write updates for you, study chess, study mandarin and weather permitting go for runs. There’s always general admin/emails to catch up on so I’ll do that too. I also bought my camera along so will see if I can get any good pictures. Tomorrow will be the opening ceremony and the drawing of the lost so stay tuned for the pairings. Games start on Saturday 13th 13.30 local time. Don’t forget you can also follow me on Twitter, I’ll be doing my best to tweet during the event.